Ever heard of Tablets that cost only $37.99? Well, now you have heard. Such affordable tablets are being introduced by a company called DataWind. DataWind’s UbiSlate Tablets have been a huge hit in India and have overtaken tablet sales by surprise, even surpassing iPad sales. 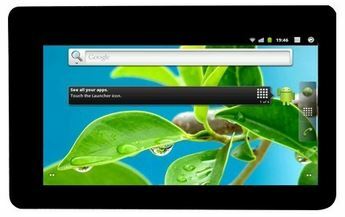 The UbiSlate run on Android operating system and has voice call capability. 4 GB Memory, Micro SD. Memory Expandable to 32GB. This is trully awesome. For only $37.99, this Tablet is an amazing piece of machine. DataWind brings the long awaited affordable Tablets to the market. The company is sure to revolutionize the Tablet industry and have already won multiple awards. The company receives a two thumbs up from DummyTech as many financially challenged youths and adults alike will benefit from the emerging Tablet PC technology worldwide. Great Job DataWind.